Eric C. Wainwright, Jr. was born on October 8, 1990 in Paterson, New Jersey to parents Eric (Sr.) and April Wainwright. Affectionately known to all as "Little E", he passed away on August 24, 2018. He experienced his early childhood years in Delaware where he enjoyed pre-school, elementary school, church, and a variety of youth activities (baseball, football, basketball, and other community centered activities). "E" moved to Piscataway, New Jersey where he completed Quibbletown Middle School and his sophomore year at Piscataway High School. He convinced his parents that a prep school experience was best for his development. "E" passed the requirements for enrollment into Cheshire Academy (one of the oldest prep schools in America) where he spent one year but wanted a more structured environment. He was accepted for enrollment at The Valley Forge Military Academy in Wayne, Pennsylvania. He met the challenges for entry into the Cadet Corps where the spirit of courage, honor, conquer permanently prevails. 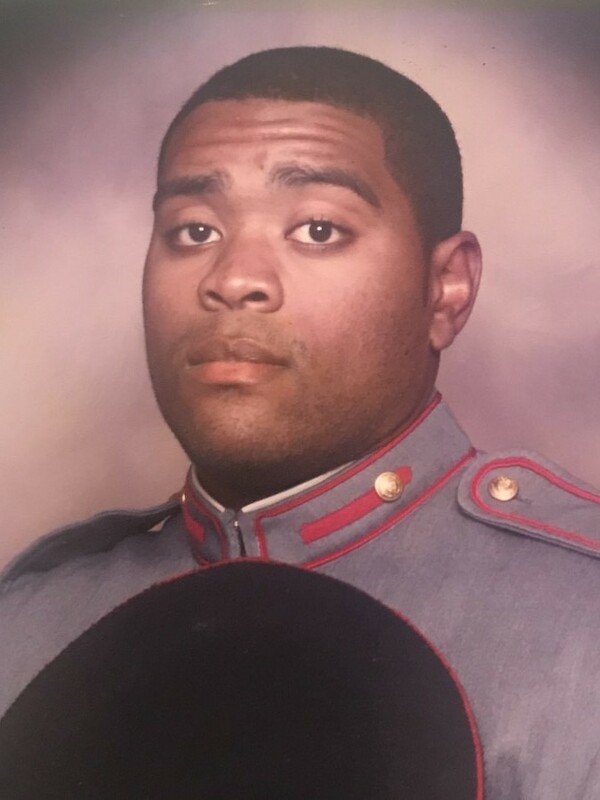 "E" was promoted to the rank of Cadet Sergeant, where he excelled academically and athletically while being elected, by his peers, he served as captain of the Varsity Football team. Additionally, he participated in Lacrosse track and several project teams in Science and Government studies. "E" began his college days with enrollment at Dean College (a two-year college) in Franklin, Massachusetts to strengthen his academics for the next years which began briefly at East Stroudsburg University but culminated successfully with transfer to Wesley College in Dover, Delaware where he earned a Liberal Arts degree covering the areas of Media, Communications, English, and History. His Internship was completed under the leadership of the Senior United States Senator Thomas Carper from the State of Delaware. Further internship activities included Delaware Democratic Party Campaign Coordinator as well as campus and community organizer for Kent County Delaware. "E" was later employed as a management trainee at Hertz Corporation. He leaves to cherish his memory his parents April Smith Harrison (Elton, Sr.) and Eric C. Wainwright, Sr.; his sisters, Victoria E. Wainwright and Ciara M. Wainwright; grandparents Oliver O. and Dolores M. Wainwright and Shirley S. and Harry Delain; uncles Oliver O. Wainwright, Jr. and Stephen C. Wainwright; great aunts and great uncles and a host of cousins and friends. Eric was baptized at North Stelton A.M.E. Church in Piscataway, New Jersey.